Once our new machine landed we were very happy with the speed in which we were able to get into full production. We believe cncKad had much to do with this. 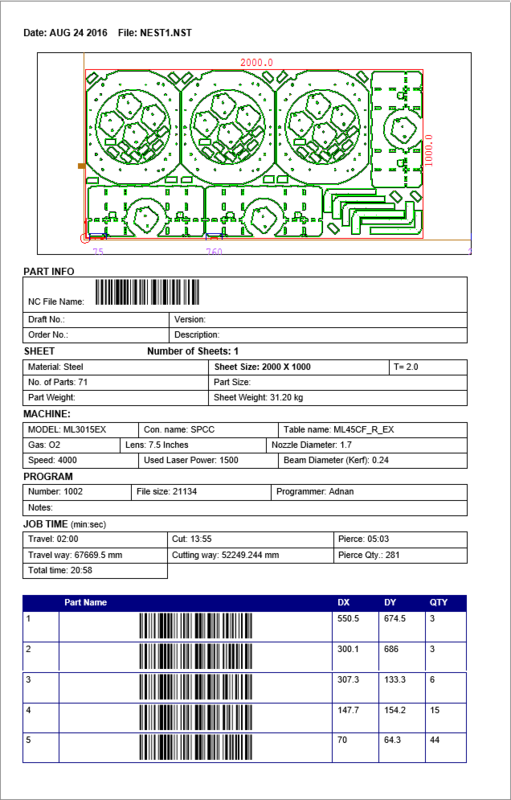 cncKad offers detailed production reports that include all the information needed to manufacture your part. The reports can include graphics of the processed sheet, tooling information, and processing information. All the information can be presented as text or as barcodes, depending on the template you select. cncKad supports generating reports in DOC, RTF and TXT formats, and you can freely edit them, adding parameters, data, and graphics such as your logo.